Not just for kids - adults will be reaching for these dressed-up dogs as well! Grill wieners until done (160ºF). 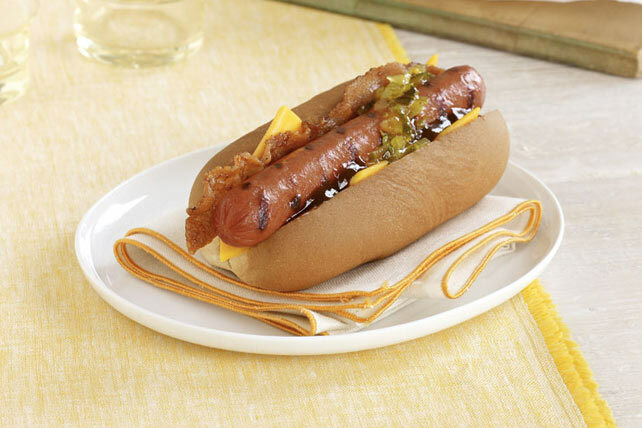 Fill buns with Kraft Singles, wieners and remaining ingredients. Omit Kraft Singles. Place grilled wieners in buns. Top each with 2 Tbsp. Cheez Whiz Cheese Spread. Cover with remaining ingredients.